When I first moved to Missoula, MT in 1993, I first saw Treepeople who was a band from Boise, ID that would tour often. I loved Treepeople. I use to listen to Time Whore and Something Vicious for Tomorrow which were great EPs from the band, and featured Doug Martsch on guitar and vocals. In the mid-to-late 90s, I began listening to Built to Spill, specifically, Nothing Wrong With Love. I mean, I listened to that album – all. the. time. Amazing album. In the late 90s I had to see Built to Spill live for the first time. I got front and center and was in awe of Doug Martsch’s playing. How effortless he made it look, while completely full of emotion, while the person, himself, appeared separate from the moment. It was an amazing show. Doug Martsch goes down easily as one of my guitar heroes. Built to Spill has played multiple times here, yet I didn’t want to go see them in the bigger venues. I wanted to hold on to that show in the late 90s. It was a special show. Last night, I had the opportunity to see Built to Spill again during their first show of their 2015 Fall Tour. For some reason, the show was in a small venue and was exactly what I was looking for. I again found myself front and center and soaked Doug’s guitar (amp facing directly at my face). Again, he blew my mind. Again, I’m in awe of the man and the way he plays guitar. 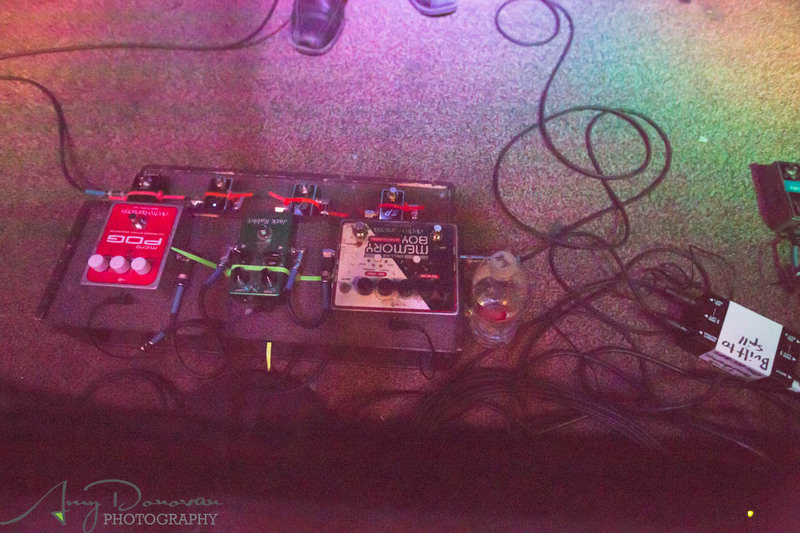 My wife was able to get some shots of the pedalboard, so I thought I’d share! 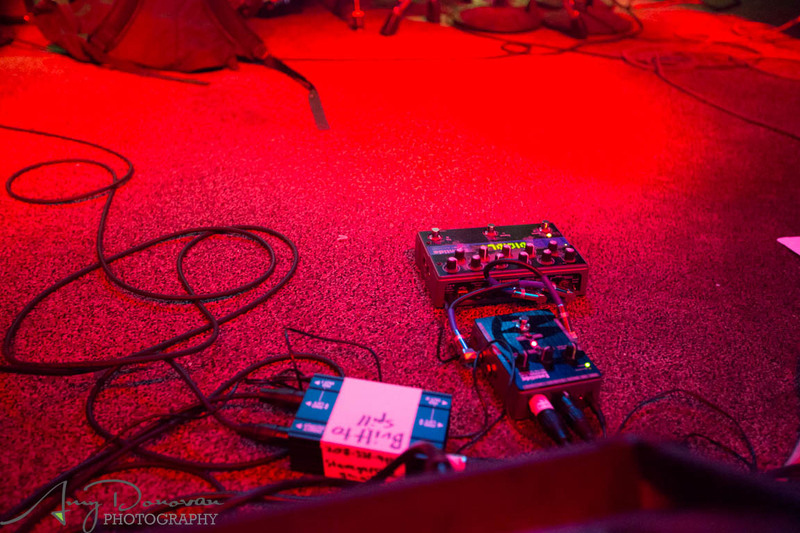 The pedalboard was a home made ‘double decker’ board – small and efficient. I thought it was interesting that he’s using 2 Xotic EP Boosters. I double.. and triple checked that. My guess, either internal trim pots are set differently, or simply the levels are set differently. I was unable to view the knobs on that row. I would like to thank my wife of Amy Donovan Photography for providing these photos! 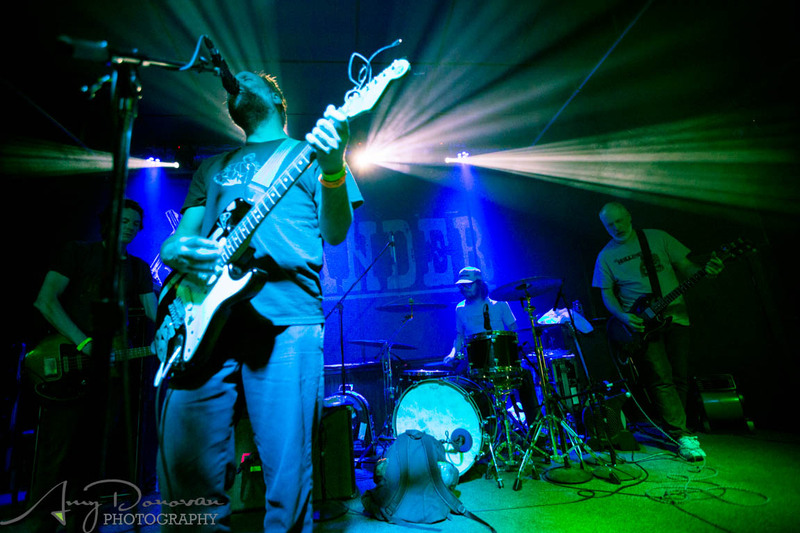 Are you a fan of Dough Martsch and Built to Spill? Let me know what you think! Ive always wondered what Doug used, thanks for the research! I use an Xotic EP, I think you're right he probably has the trim pots set differently for each. Very cool. He makes some of my favorite sounds. Thanks for the post! More than likely the reason for the 2 Xotic EP boosters is one is an "always on" and one is for extra boost. Lots of people like the sound of their amps with one of these always on in front of the amp.